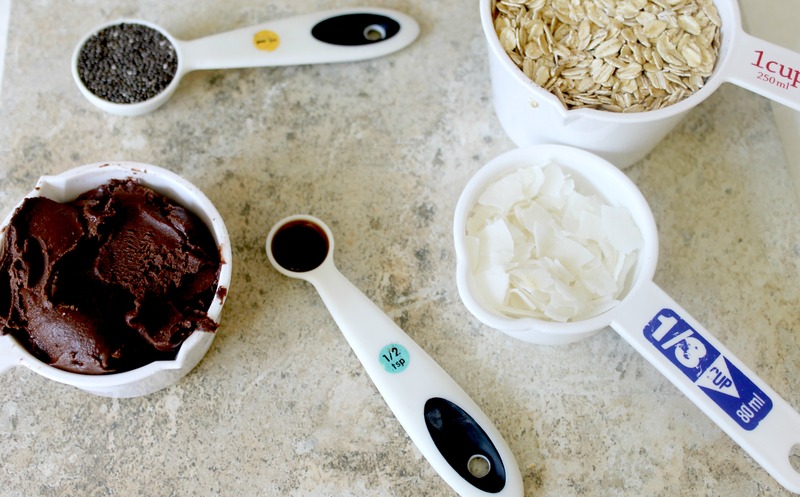 Good Eats with a Healthy Twist! After our fantastic Peanut Butter Throwdown I ended up coming home with quite a number of jars myself. And when life hands you jars of peanut butter, you make Dark Chocolate Peanut Butter Bites. 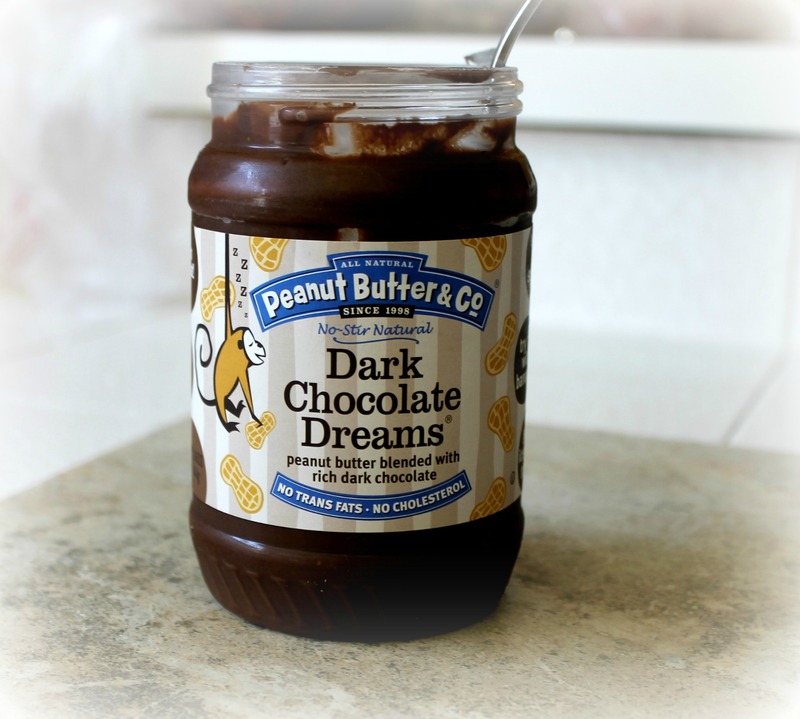 Dark Chocolate Dreams is by far my favorite flavor from Peanut Butter and Co. I think it is because it reminds me of Nutella, and Nutella reminds me of studying abroad in Italy where I would enjoy it on toast, croissants, and just straight up out of the jar. While Dark Chocolate Dreams tastes delicious straight from the jar, I figured I should make some sort of recipe with it as well. 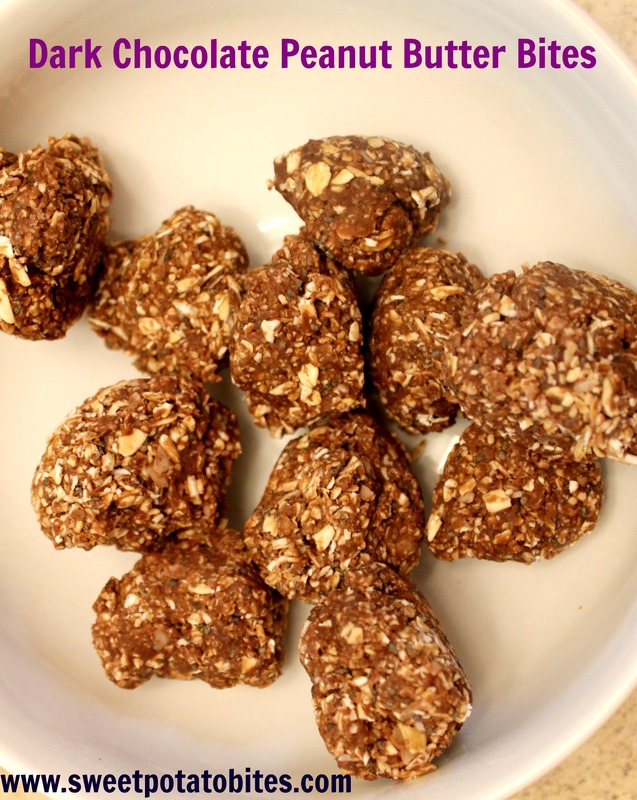 I had seen a few recipes floating around the internet for peanut butter bites so I decided to create my own dark chocolate peanut butter bites filled with lots of good things such as oats, chia, and coconut. This peanut butter is so flavorful on its own that the bites didn’t need any extra sweetener, and they taste even better frozen. This is the perfect recipe if you want something sweet but not too sweet and also want some chocolate. I think they are the perfect after dinner dessert or afternoon snack if you are just looking for something small. If chocolate isn’t your thing, these would also work with regular peanut butter, or perhaps Peanut Butter and Co’s Mighty Maple Flavor. 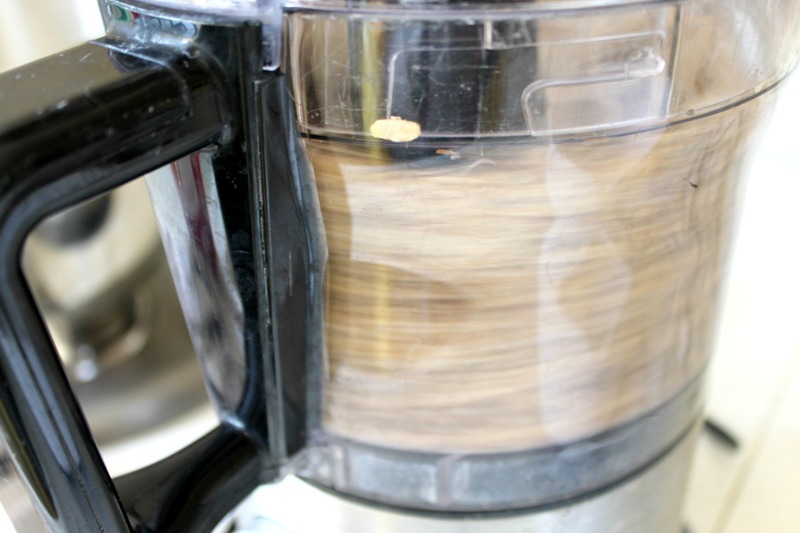 In a food processor add your peanut butter (you might want to soften it a bit in the microwave first), chia seeds, oats, vanilla and coconut and blend well. 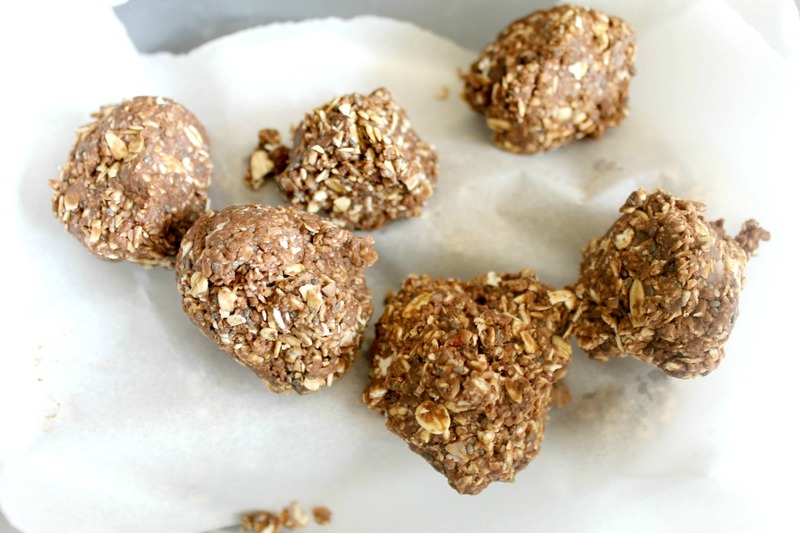 Roll your mixture into small balls and place on parchment paper. If you want frozen dark chocolate peanut butter bites place in the freezer for about 30 minutes. Otherwise, chill in the fridge and enjoy! 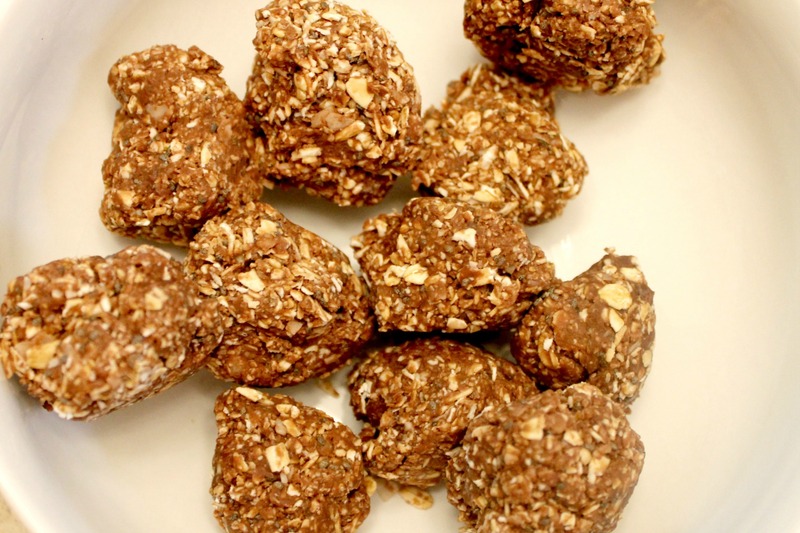 This entry was posted in Gluten-Free, Recipes and tagged chocolate, healthy treats, peanut butter on July 22, 2013 by allie@sweetpotatobites. Putting them in the freezer helps reduce the urge to eat them all at once (sort of). But I always have at least 2 or 3 when I go to eat some. So good! What a yummy recipe! I love how simple and delish it looks! Will be trying this soon! Thank you! socaliallie listening to a #celinedion playlist while I work and it is everything rn.